You depend on your hydraulic system and when it fails it can cause an unscheduled shutdown, resulting in a serious loss of productivity, major issues for production, expensive repair costs, and other headaches. However, there are a few things that can significantly improve hydraulic system reliability and minimize costly downtime. 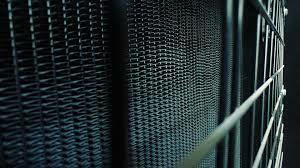 It starts with keeping your system clean, dry, and cool, and includes preventative maintenance and regular testing. About 75% of all hydraulic failures can be traced back to hydraulic fluid contaminated with particulate matter. Modern hydraulic components are far more sensitive to contamination than older systems. Hydraulic oil should be filtered to 1-micron when placed in a storage tank. Remember that even brand-new hydraulic fluid contains contamination, and all fluid should be filtered before entering your hydraulic system. For effective filtering, experts recommend using a unit that is capable of both flushing and filtering, and one that can remove not only particulate matter from the fluid but water as well. While expensive, these filtering systems can be a worthy investment in the performance and life of your system and its components and will ultimately improve hydraulic system reliability. 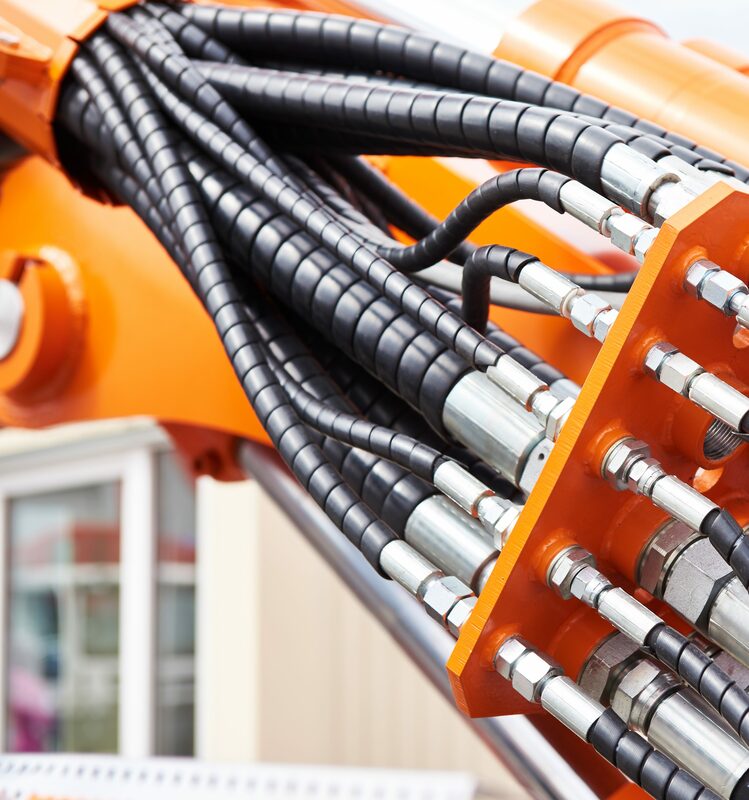 Moisture in your hydraulic system compromises the efficiency of your equipment, encourages both oxidation and corrosion, and causes damage to key components that can lead to more problems down the line. The most common source of moisture for hydraulic systems located in manufacturing plants is humidity from the ambient air, especially during the hot summer months. Water can dissolve from moisture in the air directly into the hydraulic fluid. That’s why desiccant breathers are so vital to the health of your system since they remove the moisture before it ever reaches your hydraulic fluid. Heat is right behind contamination when it comes to the most common causes of hydraulic system failure. High temperatures above 140°F will reduce the useful life of hydraulic fluid. Every 15° above 140°F reduces hydraulic oil life by half as it accelerates the natural degradation of the fluid. This, in turn, leads to more frequent breakdowns and expensive downtime as components begin to fail. As temperatures increase, the hydraulic fluid loses its ability to properly lubricate which results in even more heat generation and increased component wear. Its viscosity drops as well, which means it can no longer maintain a protective boundary during metal-to-metal contact. The result is a continuing cycle of destruction as particulate matter develops from the wear and causes even more damage to your system. The final result can be catastrophic failure – all because the system began to overheat. Preventative maintenance is key to helping improve hydraulic system reliability. Addressing potential problems before they start is one of the secrets to a healthy hydraulic system. Some aspects of maintenance, however, are often neglected. The scheduled maintenance of components such as reservoirs, breathing caps, oil level switches, and heat exchangers will make a tremendous difference in not just mean time to failure but overall system efficiency and performance. Hydraulic reservoirs need to be cleaned periodically. When a reservoir is refilled, keep in mind that the hydraulic fluid does not have to be replaced unless it is severely degraded. Passing it through 1-micron filters before refilling the reservoir is usually sufficient. Another critical aspect of reservoir maintenance is the breather cap – in fact, its importance in keeping your hydraulic system free of contaminants cannot be overstated. 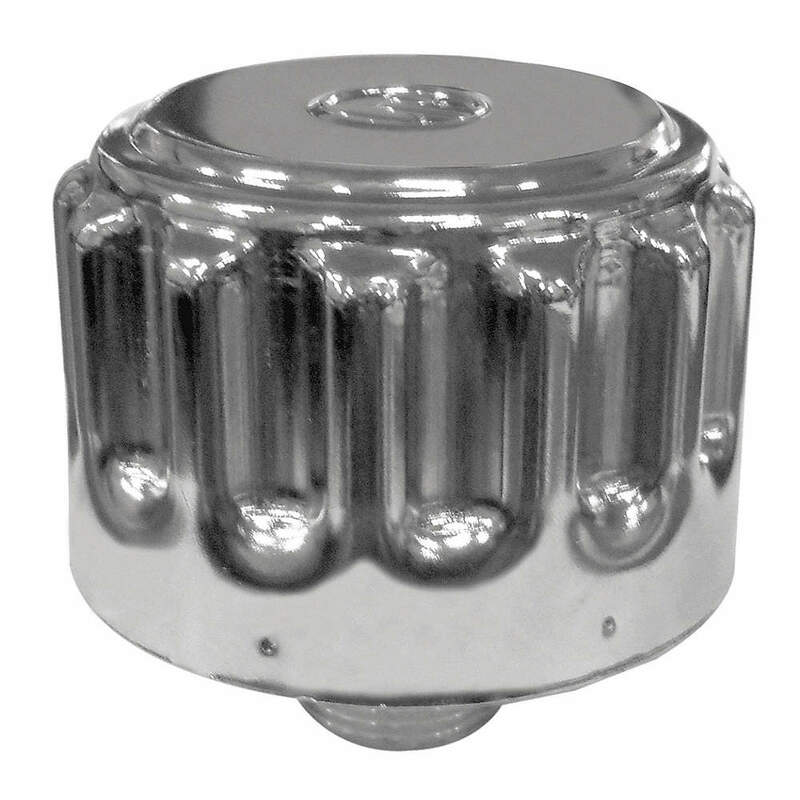 Breather caps should have a 10-micron rating and should be changed twice a year or when its mechanical indicator shows that the filter is dirty. If you would like to minimize oil loss when a hose ruptures, then look for the warning switch in the reservoir. Most reservoirs have two levels before shutdown: a warning level and an actual shutdown level, with a difference that may amount to several hundred gallons of hydraulic fluid. Eliminating the warning switch and going straight to shutdown mode can reduce the loss of hydraulic fluid if something goes wrong. The hydraulic system should then be flushed using an external filtering/flushing unit equipped with 1-micron filters. The inlet and outlet lines of the motors and cylinders should, if possible, be connected and the directional valves manipulated (manually or electronically) to allow the fluid to circulate through the lines. The system pump can be used to recirculate the hydraulic fluid through the lines and through the filtering/flushing unit. Hydraulic systems are designed to operate at temperatures below 140°F, and it is very important that the high temperature switch be set at or below this temp. When set accordingly, the switch will shut down the pump if excessive temperatures are detected. Keep in mind that hot hydraulic fluid is a sign of serious problems elsewhere in the system. The system’s heat exchanger also needs to be cleaned and flushed. It is a key aspect of maintaining the hydraulic fluid temperatures but the tube and shell side of the exchanger often experiences a buildup of sludge and soft deposits. This buildup compromises the efficiency of the heat exchanger but it can be cleaned by flushing with hot water and a mild alkaline solution. The fins are also an important part of the heat exchanger, which should be cleaned with pressurized air. 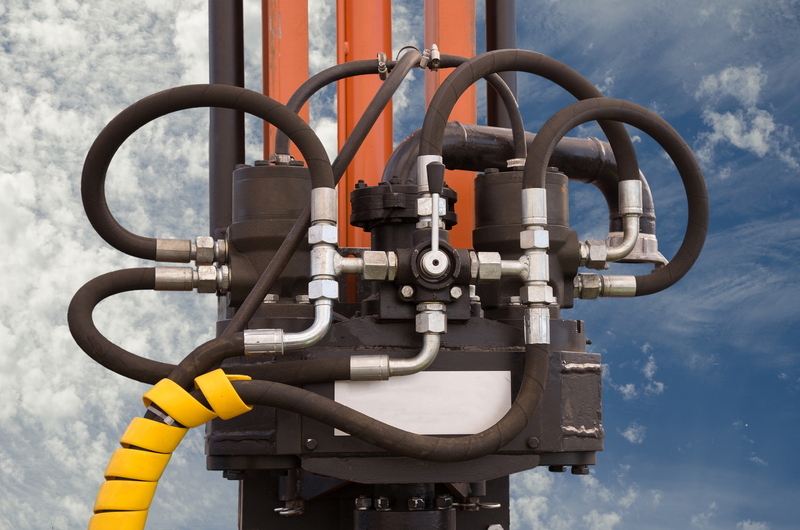 For optimum performance, flexible hydraulic hoses should have a length that does not exceed four feet. Hoses should also be periodically checked for signs of wear or abrasive damage, in which case the hose should be replaced and rerouted or replaced and covered with a protective sleeve. It is also a good idea to verify that clamps are installed within 6” of a termination point and that the appropriate type of clamps are used – beam and conduit clamps will not absorb the necessary shock. 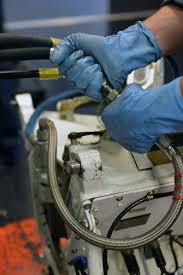 Another aspect that helps improve hydraulic system reliability involves testing. Testing is not something that should only be performed as part of troubleshooting. Proper testing can help technicians detect potential issues early on and address them before they grow into full blown system failures. Pumps are a key component of hydraulic systems and should be tested regularly. For variable-volume pumps, a quick check of the case drain flow (with the outlet pressure at maximum) can serve as a diagnostic for a variety of problems. The expected case drain flow is around 1 to 5% of the pump’s maximum volume. For fixed-displacement pumps, a similar test can be run by checking flow through the relief valve. The flow with the pump on for about one minute should differ by 10% from the flow with the relief valve at its minimum setting. Higher flow rates for either the case drain line test or the relief valve test indicate that the pump is badly worn and is no longer functioning efficiently. Volume accumulators must be pre-charged with dry nitrogen, and those levels can be tested by turning the system off and using a charging rig with a gauge. Another quick way to make sure that an accumulator is functioning correctly is to use an infrared camera or temperature gun to verify that the bottom portion of the shell is hotter than the upper portion. The system pressure gauge should drop by more than 100 to 500 psi during normal operation as long as the accumulator is correctly pre-charged. Malfunctioning valves can cause serious problems within a hydraulic system. 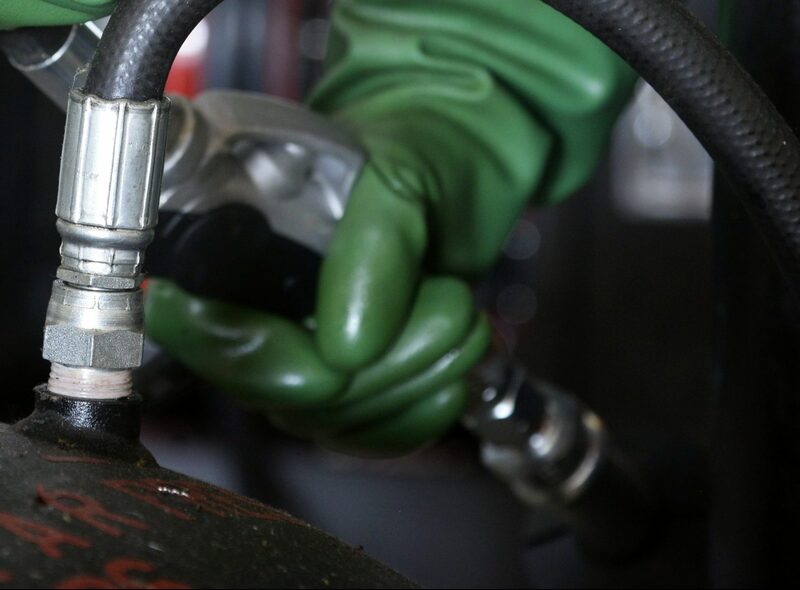 One of the most effective ways to determine if a valve is functioning is to use an infrared camera or temperature gun to check the temperature of the tank lines coming from the valves. Downtime is expensive, complicated, and a major headache. However, keeping your system clean, dry, and cool while practicing preventative maintenance and performing some regular tests can improve hydraulic system reliability and keep your system operating both reliably and efficiently. At MAC Hydraulics, we offer highly customized service plans to support the maintenance needs of your hydraulic system and its components. Our experienced technicians perform onsite maintenance necessary to keep your hydraulic systems running at maximum efficiency. 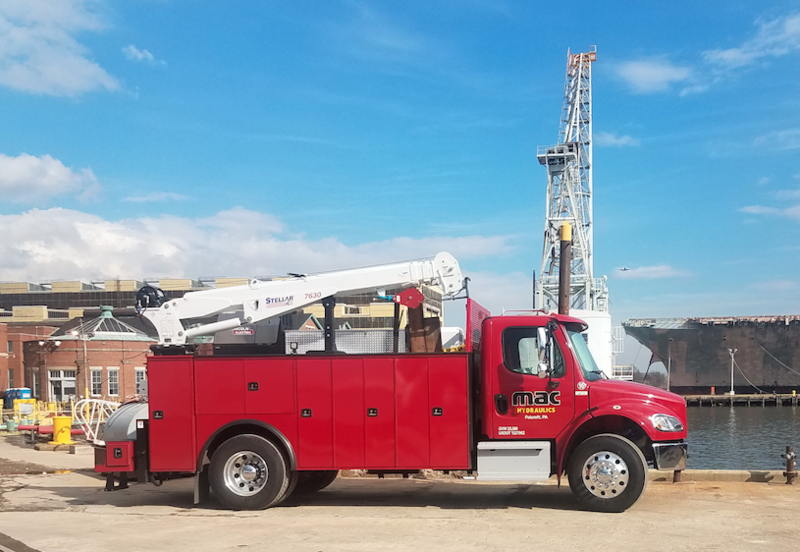 MAC’s technicians carry out maintenance, repairs, and troubleshoot any type of hydraulic equipment, including everything from the hydraulic hoses to the most complicated hydraulic pumps. With a MAC Hydraulics maintenance plan, you can rest assured that your system is receiving the highest quality preventative maintenance and testing. Contact us today to learn about the variety of hydraulic services we offer and how we will improve hydraulic system reliability for your company!